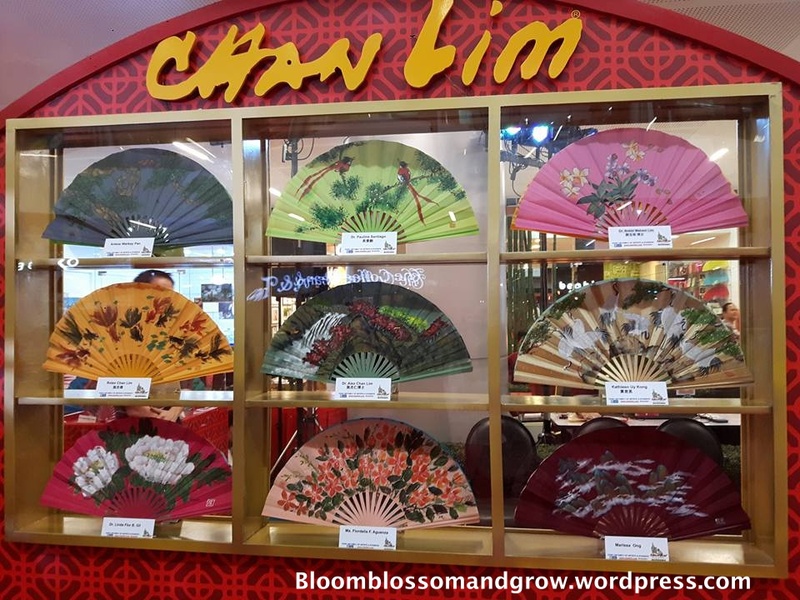 In celebration of the Mid Autumn Festival, SMCity East Ortigas and Chan Lim Family of Artists and Students formally launched an exhibit of 135 Hand-Painted Fans on August 27, 2017 at the Main Atrium of SMCity East Ortigas. The exhibit included chosen work from 42 different artists to showcase their rich culture and artistry. The exhibit will run from August 27 to September 24, 2017. 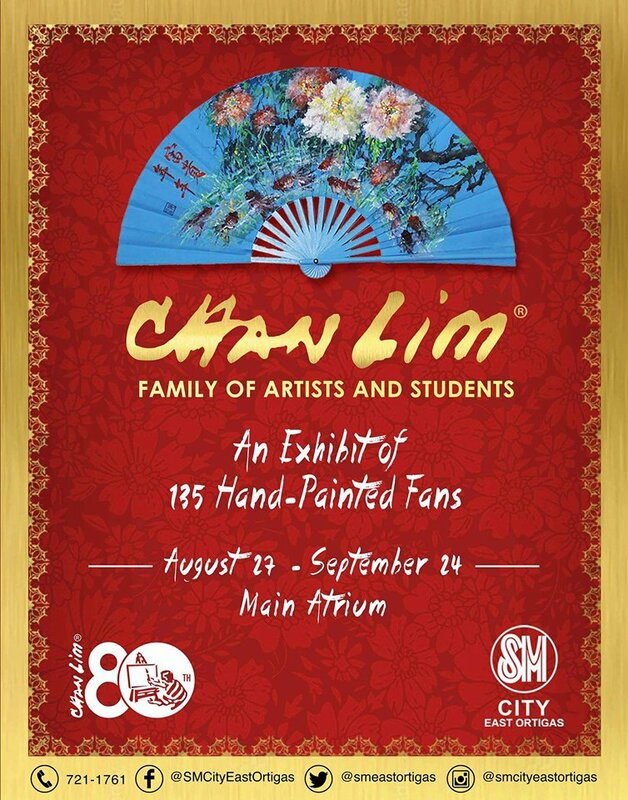 The Chan Lim Family of Artists is best known for their Asian-themed art with particular focus on Chinese Brush Painting. The family has been actively engaged in the arts for more than half a century to date. The three generations of Chan Lim family use a multitude of media, styles and techniques to incorporate Western into Eastern Art. 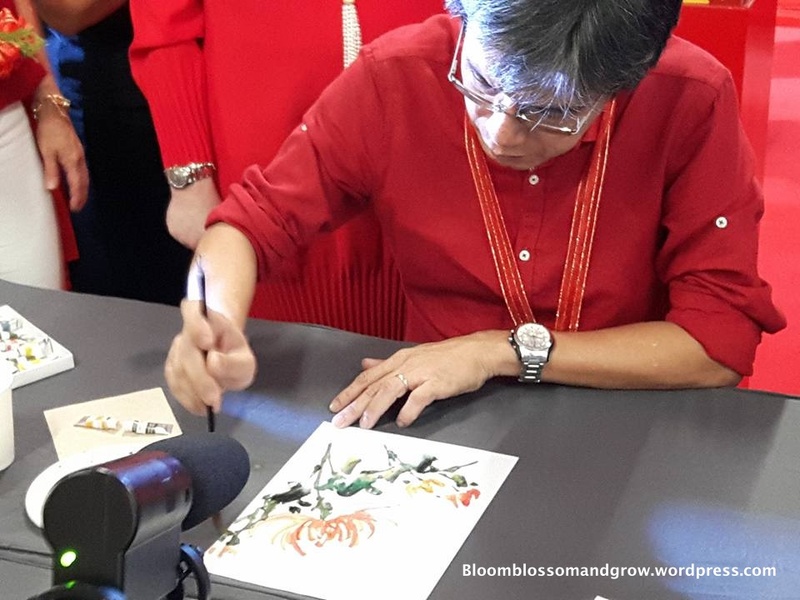 The family actively develops and promotes Chinese brush painting in the Philippines and abroad. Mr. Chan Lim, the Patriarch originally worked with oil and watercolor, but most of his art are on canvas. He recently ventured into other types of media such as ceramic and porcelain plates, Asian lanterns and fans to blend Western and Eastern techniques. 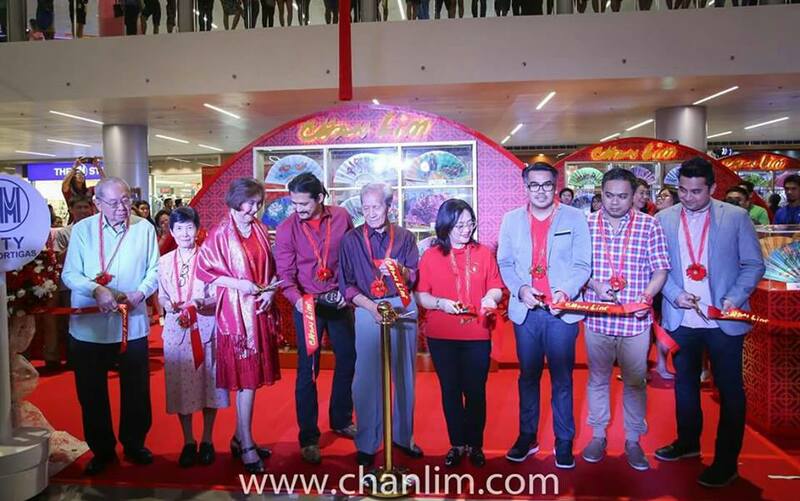 Bound by their passion for the arts, the Chan Lims have traveled extensively across to conduct numerous art workshops, seminars, exhibits and on-the-spot painting demonstrations. Members of the family have joined several art exhibits locally and internationally. Their art subjects included flora, fauna, landscape and even portraits. These themes can be seen in most of the family’s art, as well as their students. The family is one of the few remaining notable Chinese brush painting artists in the country today and is sought after in this field. The second generation of Chan Lims – Alex, Felix, Rolex and Jolex are all engineers by profession and are engaged in leadership positions with multinational companies. The third generation of Chan Lims revel in exploring different types of modern techniques, such as digital media and apps and incorporate these into their art. The artwork on the fans are beautiful! 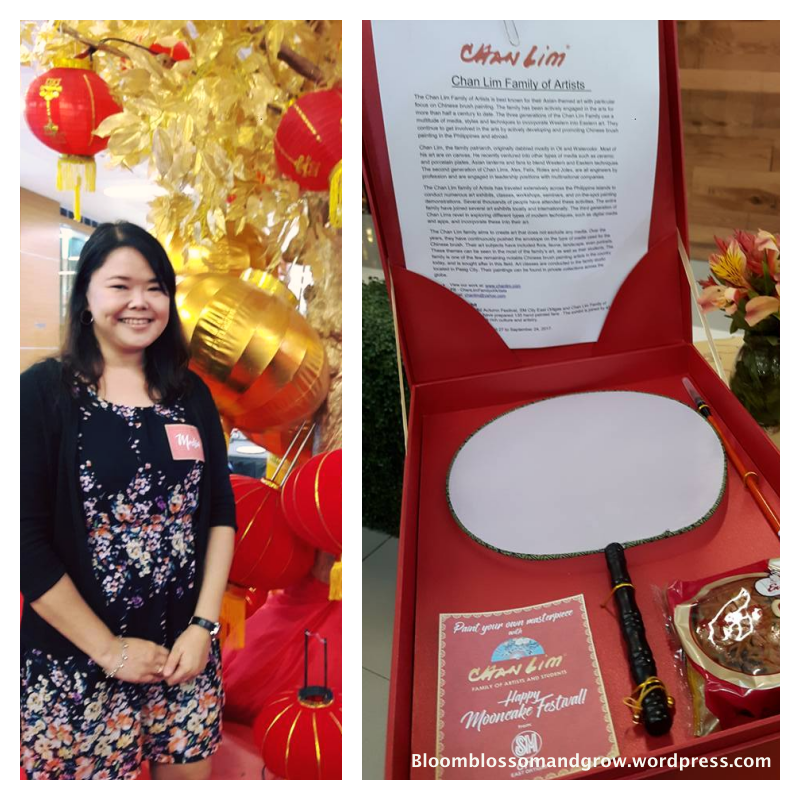 Each of us were given a kit – a fan, Chinese brush and a set of water colors to use. What’s even special is that they assigned family members and students to teach us basic strokes and techniques. It was so much fun! I promised myself to practice at home so I can paint my fan beautifully. 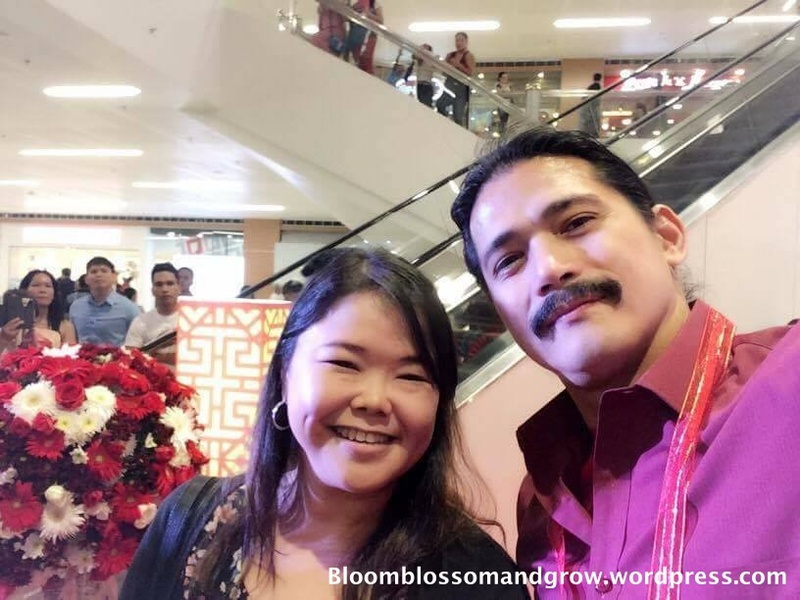 Mr. Robin Padilla, a close friend of the family graced the event. 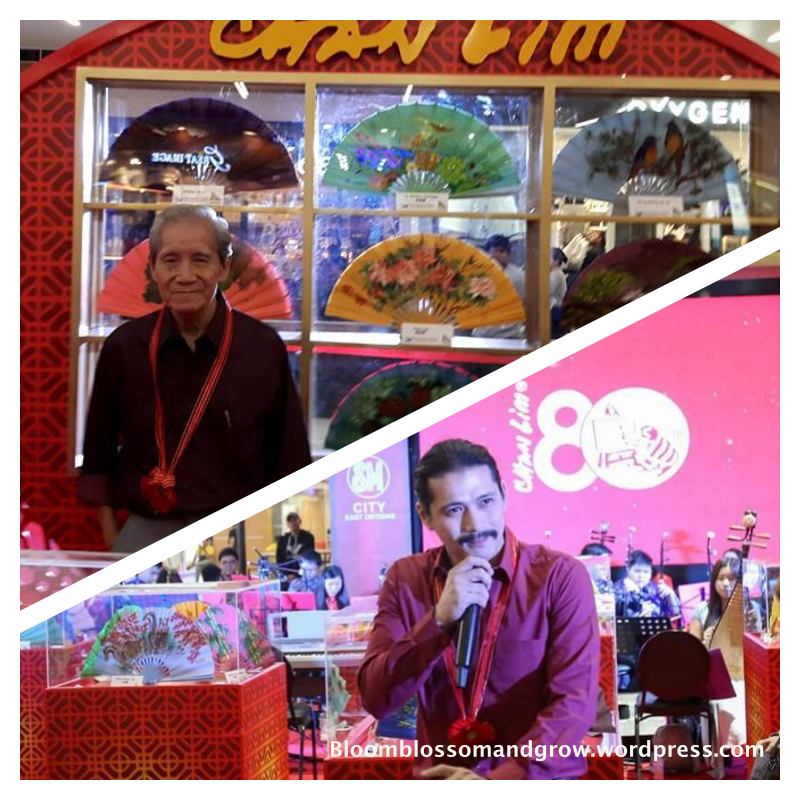 He acknowledged the importance of our Filipino heritage which includes Chinese Culture. 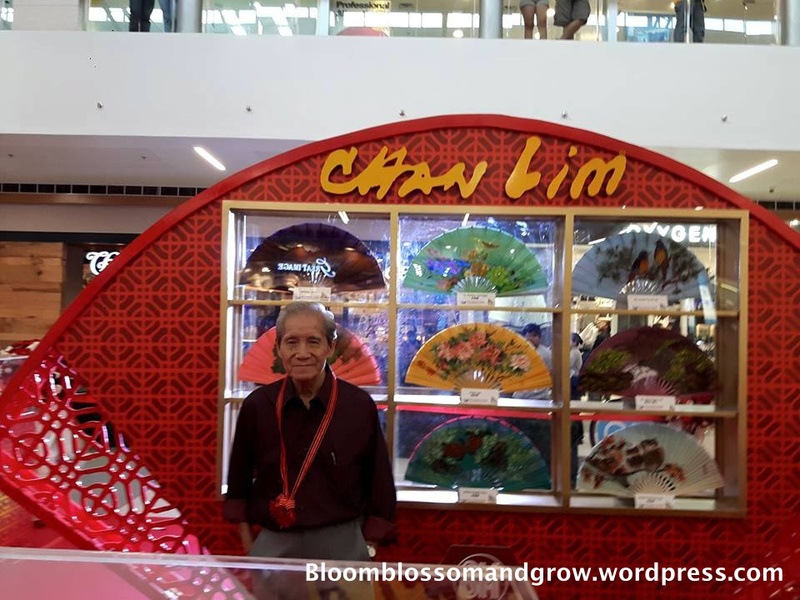 Robin beamed with pride as he informed everyone that Mr. Chan Lim, the Patriarch, is not only a master artist but is also his a martial arts master. Happy to have a picture with Mr. Robin Padilla. He’s so humble and generous to spend time and take a selfie with his fans. Art Classes are conducted in the family studio located in Pasig City. Their paintings can be found in private collections across the globe. My two words for the year, after much prayers, are COURAGE and INFLUENCE. INFLUENCE. We are all created to shine and not be embarrassed by our talents, our vulnerability, our open hearts. I believe that we are born not to live in the shadows, but to be a bright light reflecting the beauty of God, who made us wonderfully and fearfully with HIs loving hands. I cannot count how many times I have been bashful and shy – shy of my talents, my thoughts, shy to raise my hand for a second longer. We are here to live our lives and touch others in ways that are subtle and loud. We have to share beauty and love with our minds, our hearts and thoughts through words, pictures, actions, writing… freely, for keeping them would be a disservice to the world we live in. Shy no more, but brave and living a life with spotlights for all people to see, and hopefully for others to praise God by seeing how we live and touch others as they, in turn, affect people around them, beautifully. What about you? What are your words for this year? Are you into arts and crafts? 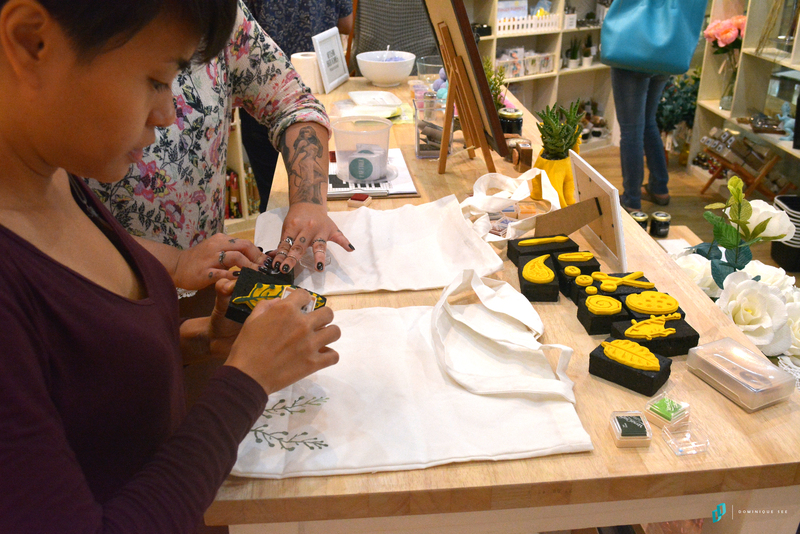 Creatives would be thrilled to know that The Craft Central has launched its own Arts & Crafts Store in Greenbelt 5, Makati! 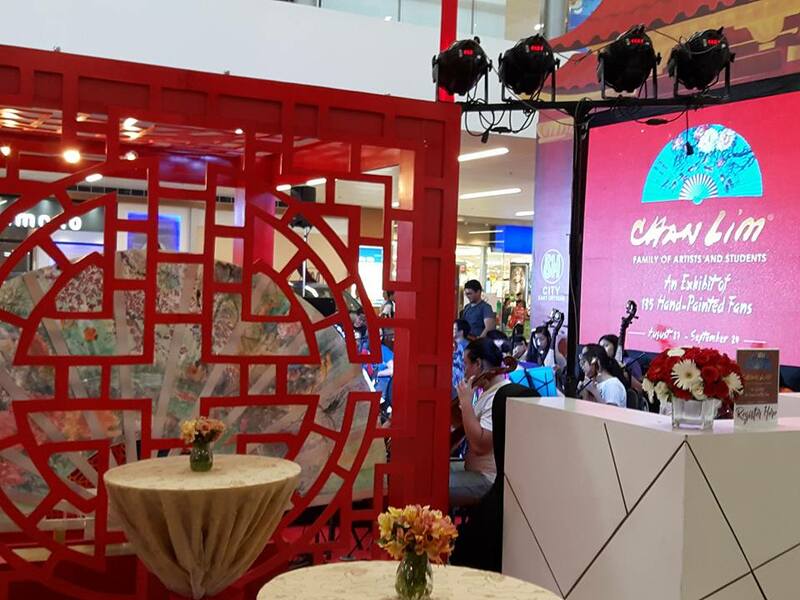 What was once a virtual shop that inspired thousands of dreamers to create beautiful crafts, The Craft Central has finally opened its own physical store in Greenbelt 5, Makati! The Craft Central serves as a haven for artists and aspiring ones. The store fills itself with goods made by a number of passionate talented craft partners, as well as a space for interested hobbyists to hone a variety of skills through different workshops. 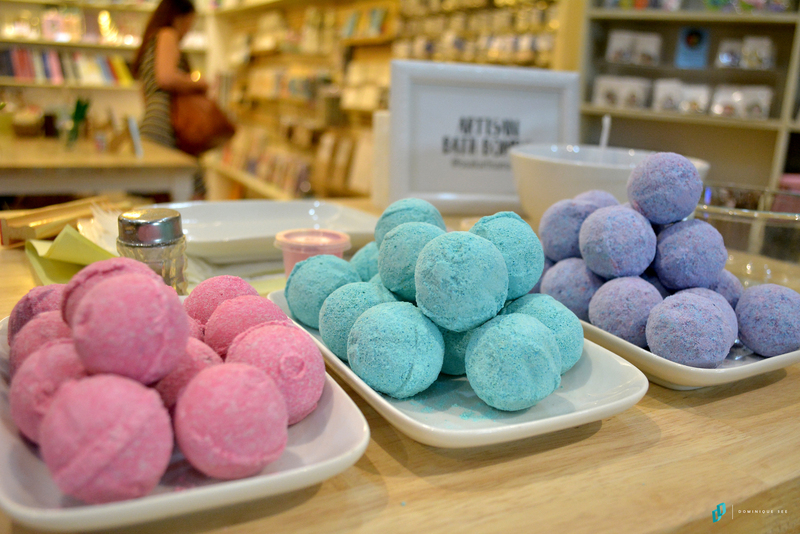 and Create-your-own Bath bombs (by Soak Artisan Soap) – Bath bombs are interesting all-natural, vegetable-based soap which melts immediately when placed in water. (I find the concept and the product really nice! 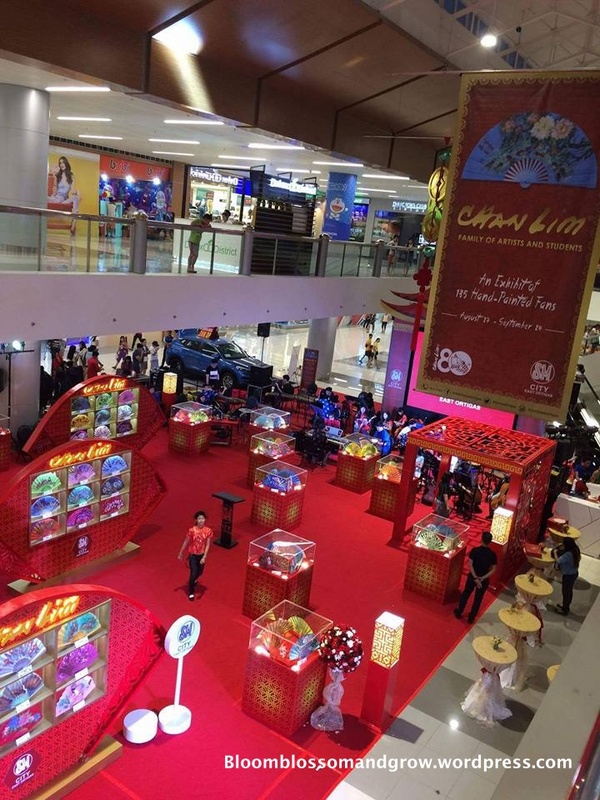 Other stations around the store were also present to hand guests with different kinds of giveaways like personalized notebooks (by Ink Scribbler), travel-sized perfume (fromOils and Petals), hand-sculpted earrings (from Pink Opium) and customized bracelets (by Bedazzled). Everyone also brought home goodie bags filled with crafty freebies from the different artists and partners of the stores. On top of this, snacks and drinks were sponsored by Coffee Bean and Tea Leaf. There were also books by Heist Club. They are a group of writers/authors that aims to uplift crime literature here in the Philippines. If you are into tales of crime and mischief, fear and suspicion, dark alleys and dark souls, then check their work out in the store. The success of the event was first of the many to come. Last September 26-October 2, The Craft Central celebrated its Grand Opening Weekend. Open to the public, guests engaged in different craft stations of workshops and demos from partner artists. To stay updated with The Craft Central’s different events, offers and promotions, follow them at Instagram (www.instagram.com/thecraftcentral) or Facebook (www.facebook.com/TheCraftCentral). If you wish to buy craft supplies and hand-made products online, shop all you want at www.thecraftcentral.com. You may get in touch with them via email at info@thecraftcentral.com.